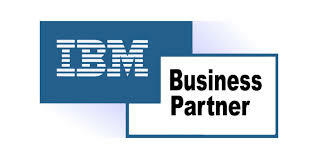 Considering using external IBM Cognos Consulting. Réiteach can provide the expertise you need. Réiteach Consulting Services recognises the importance to our customers of consistently delivering highest value on customer engagements using quality practices, solution best practices, and confidently recommend our end to end offerings. We ensure consultants have the skills required to define and plan according to your requirements and then design, build and deploy IBM Cognos solutions. Whether it is professional, solution professional, delivery method expertise or project management - customers can be assured certified consultants have successfully completed exams that measure their expertise of IBM Cognos products and applications. Performance Management Roadmap (PMR) is a methodology which provides a structured approach and implementation of Performance Management solutions from initial planning and design through to implementation and support. PMR is a proven series of steps and tasks that must be followed to ensure the build quality of Performance Management implementations. PMR is scalable and is used to ensure the development of a system that is appropriate to the size, type and scope of any project. The five phases of PMR include product training, detailed specification and scoping, model building, Implementation and support. IBM quality with an elevated level of service. .
Assurance the consultant is qualified to work with the IBM Cognos products and solutions. Formal validation of a consultants knowledge and expertise. Consistency - no matter what project, what industry or what geography.